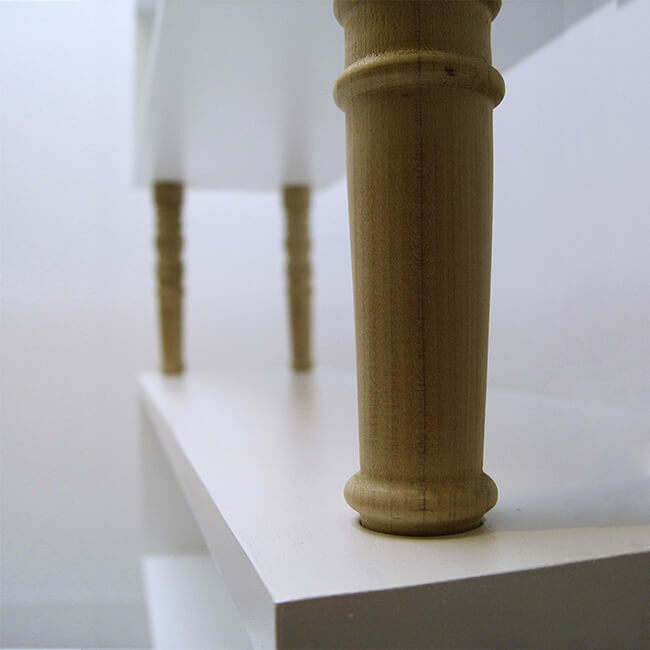 Customise your perfect side tables or sideboards, TV cabinets or shelves, without the need for any drilling or hanging. 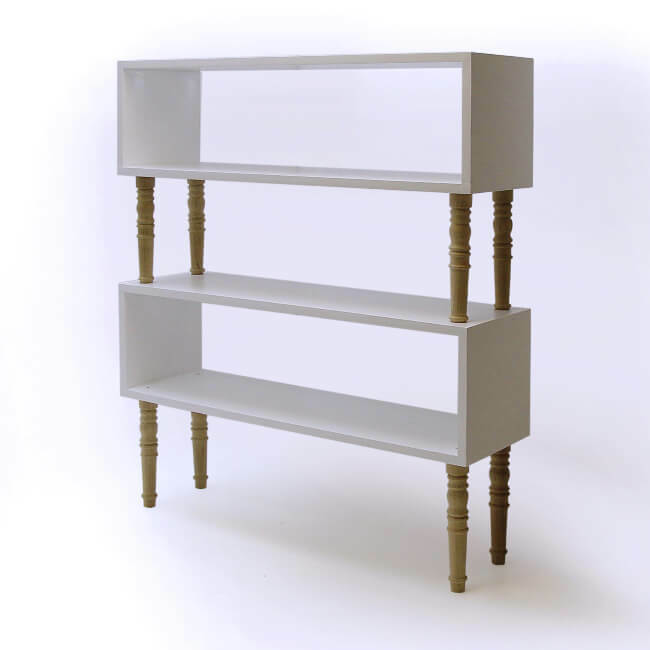 Using one simple rectangular component and turned legs, this multifunctional shelving system can be stacked and locked together in many different ways. High grade Birch plywood from Forest Stewardship Council managed forests and other controlled sources. All box sections are white melamine unless otherwise specified. Each unit consists of one box section and four turned legs.